The Grace Iron Bed | Wrought Iron & Brass Bed Co. 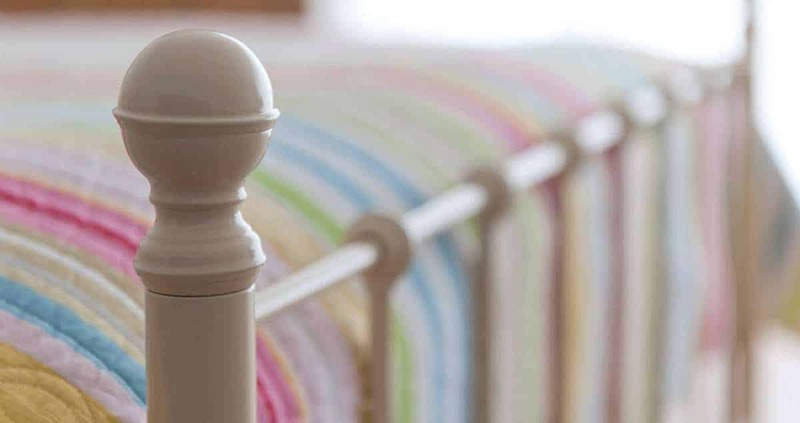 This particular iron bed collection is effortlessly stunning and graceful in it’s own unique way, not to mention our son Harry was born on a Tuesday and Tuesday’s child is full of grace. 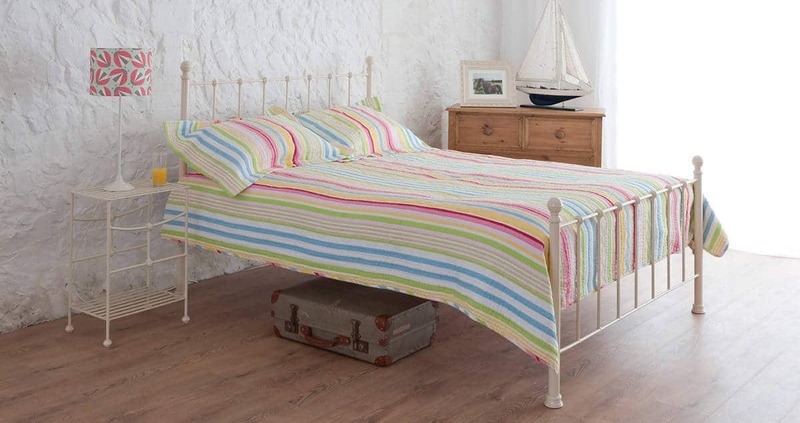 This Grace iron bed is packed full of country style and is a stunning design to feature in any bedroom. Whether you are looking for a single bed or a large super king size bed, our Grace iron bed will look absolutely fabulous in your bedroom. Designed to suit even the smallest country cottages, we specifically designed the Grace bed with a low headboard. Our Grace bed is available with brass or round finials and takes inspiration from our other bed ranges such as the Sophie iron bed, Jenny iron bed and the stunning, Lily iron bed. To ensure your Grace iron bed the comfiest it can be we even have a spectacular range of single, double and king size mattresses that will help you create a comfortable warm bed for your home.